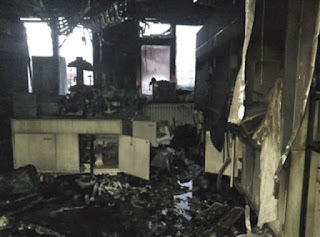 Chemjobber: Chemistry fire/death at Tsinghua University? There are both English language and Chinese language reports of a chemistry lab accident at Tsinghua University in Beijing on Friday morning, with one fatality. Some reports indicate the fatality was a postdoctoral fellow. Anyone have any news? E-mail me at chemjobber@gmail.com, if so. "32-year-old Meng Xiangjian, who joined the university last year, has been named as the sole victim of the explosion." Back in grad school, I always relied on the buddy system any time I had to use t-BuLi, diazomethane, ozone, or other highly reactive chemicals. No perceived inconvenience/hassle should override safety. @milkshake - Where did you get this info?